"Eye opening statistics, 'scripts' to start conversations -- great program!" These are actual comments of what STANDING FIRM’s training participants have to say after just one session. Providing training on partner violence to business leaders, HR professionals, managers and staff is at the forefront of what STANDING FIRM does best! Organizations that have solid training programs in place not only reduce the chance of harm to their employees, but reduce the liability for the organization if problems do occur. Over our ten year history, almost 400 organizations have trusted the partner violence experts at STANDING FIRM to educate and point them in the right direction. Our partner violence prevention training curriculum is always improving, and can be customized to meet the specific needs of your organization. STANDING FIRM will present a focused training for senior leaders & executives, designed to achieve senior-level endorsement and buy-in to the “problem they don’t know they have.” Our presentation outlines the costs and risks of partner violence in the workplace, and identifies liability and security issues to the organization and action steps to be taken. The Session will be 1 hour in length and include customized handouts and presentation. STANDING FIRM will present a focused training for human resource professionals in identifying the workplace impact of partner violence with focus on strategies to manage partner violence-related performance concerns. The session will be 1.5 hours in length and include customized handouts and presentation. STANDING FIRM will present a focused training for leaders/managers highlighting the workplace costs and risks of partner violence and providing strategies for recognizing and managing employees who are victims or abusers. Understand the prevalence of partner violence and its impact on the workplace. Know the business case for addressing partner violence in the workplace. Understand your role as a leader in cases of partner violence. Recognize common workplace signs of PV victims and abusers. Enhance your ability to respond safely and effectively to concerns about safety and performance issues in the workplace. Know resources available to aid yourself and your staff when partner violence issues arise at work. This session will be 1.5 hours in length and include customized handouts and presentation. STANDING FIRM will present a focused training for staff to prepare them to recognize behaviors associated with partner violence and provide resources for assisting themselves and coworkers. Recognize common signs of victimization and abuse. Identify alternative responses when addressing concerns with coworkers. Learn available resources for themselves and others. This session will be 1 hour in length and include customized handouts and presentation. The Company will share current relevant policies related to partner violence, domestic violence and workplace safety. Pre-session consultation between the STANDING FIRM contact and The Company contact to discuss integration of relevant policies and procedures into the training. STANDING FIRM contact and Company contact to schedule. A post-session survey will be conducted on-site. This program will coach the trainer(s) in your organization to build internal capacity so that they can deliver a customized presentation on how to promote a more productive and safer workplace. Program includes a 2.5 hour training plus a 1 hour follow-up session for up to 15 people. Includes pre and post-session consultation. Training products will be customized to your organization and delivered in an electronic format for use in your organization. This module is appropriate for all employees at an organization. It takes 20 minutes to complete. The Leadership program is a two-part training that includes introductory information for general knowledge and then builds on additional skills and actions necessary for effective leadership around partner violence in the workplace. Leaders will need 20 minutes to complete part one and 40 minutes to complete part two. Understand their role as a leader in the cases of partner violence. Enhance their ability to identify signs of partner violence in the workplace. Enhance their ability to respond to concerns about safety and performance issues in the workplace. Recognize the availability of resources to aid themselves and their staff in partner violence issues at work. 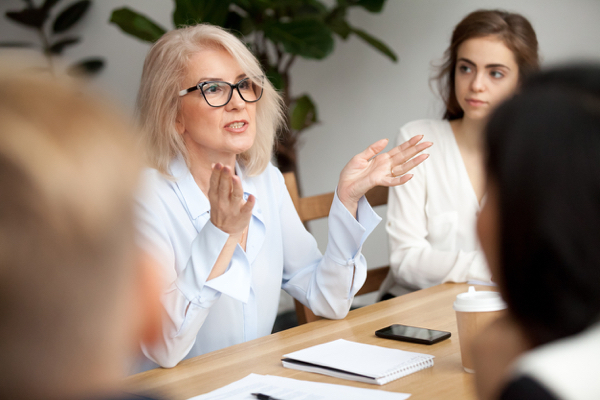 Learn more and find out how STANDING FIRM can help you create a safe and supportive workplace for your employees by providing partner violence training at all levels of the organization.